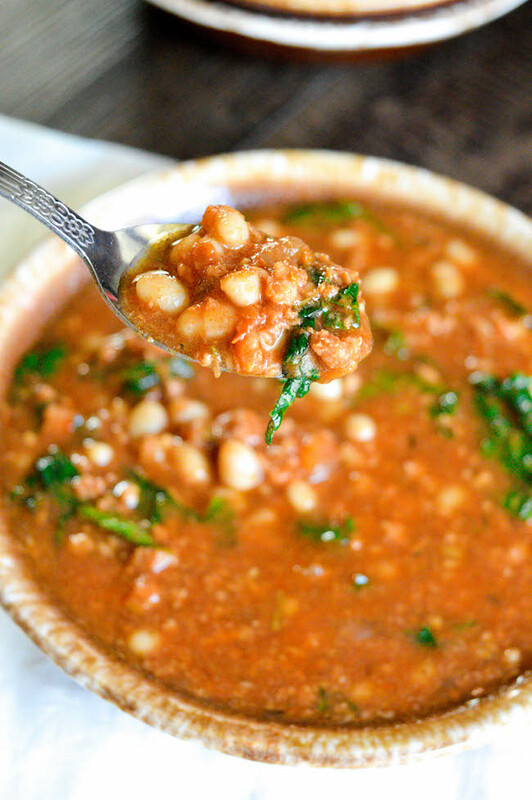 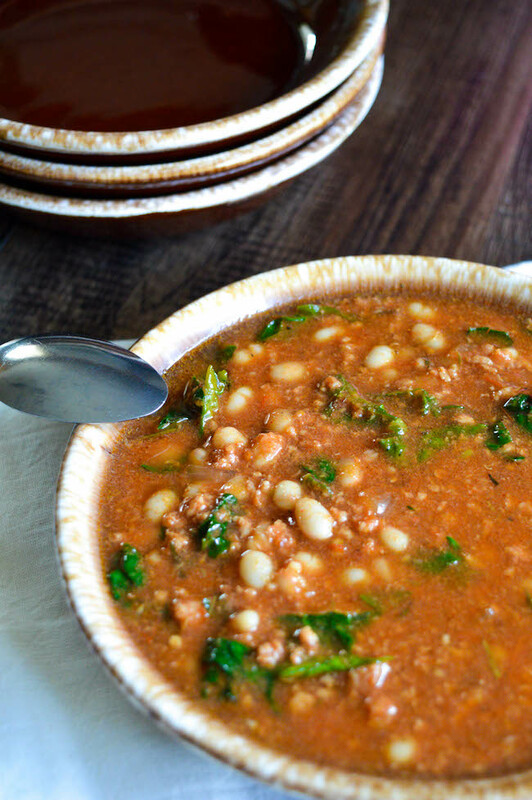 The Slow Cooker Kale, Sausage and White Bean Soup Recipe is brought to you by Just Plum Crazy. 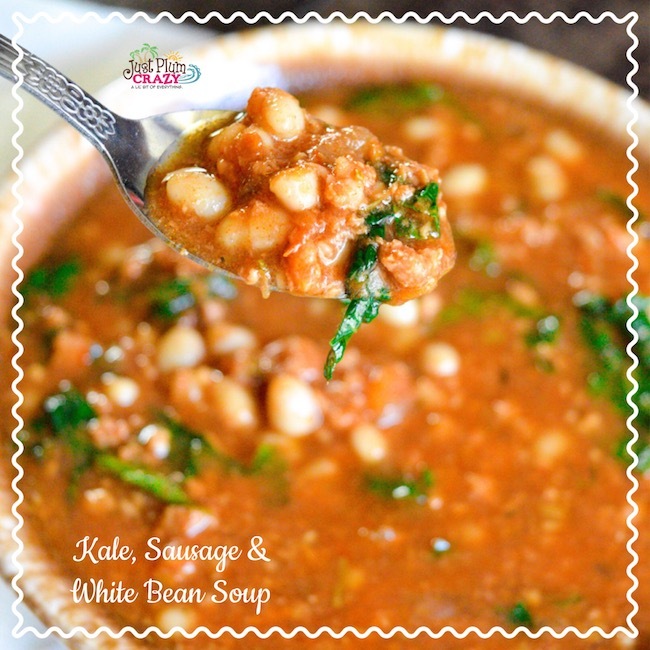 Slow Cooker Kale, Sausage and White Bean Soup Recipe! In honor of National Bean Day we are sharing one of our favorite and easiest soups to make, Slow Cooker Kale, Sausage and White Bean Soup Recipe. 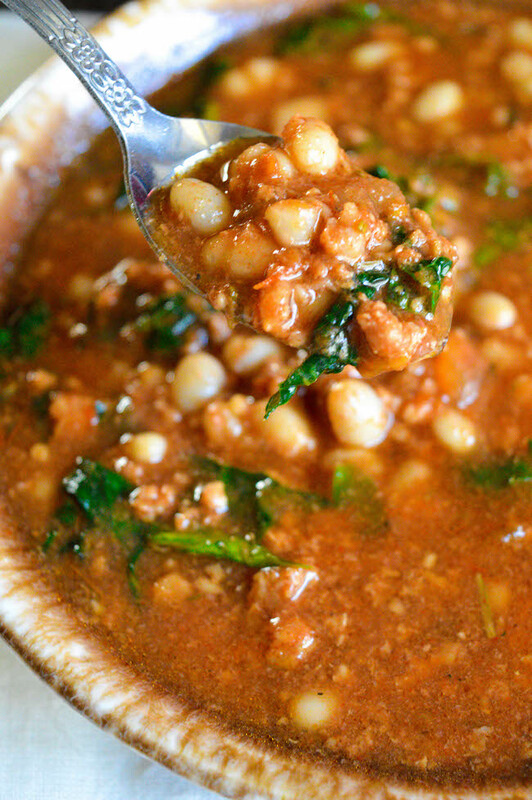 Did you know that there are 40,000 varieties of beans in the world? 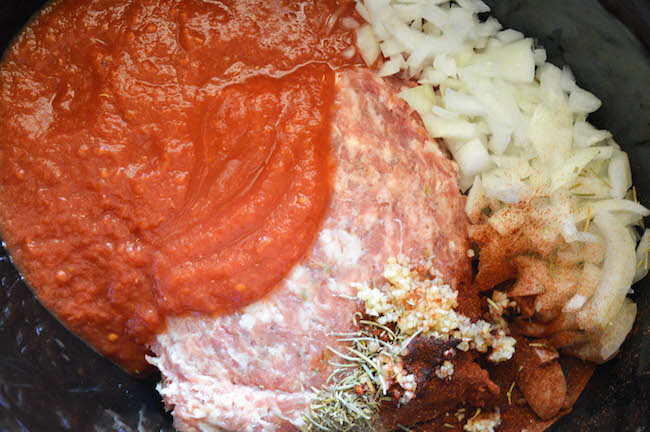 In a crockpot place sausage on bottom and layer with onions, tomatoes, broth, and seasonings. 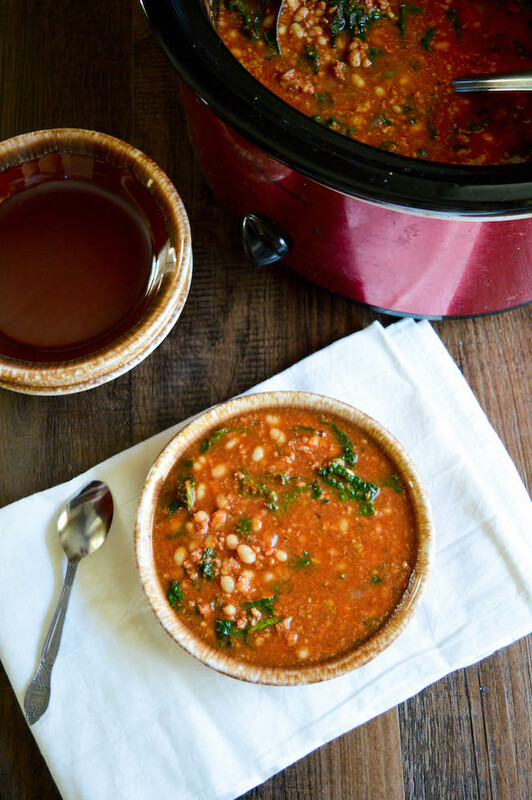 Cook on low for 5-6 hours or high 3-4 hours. 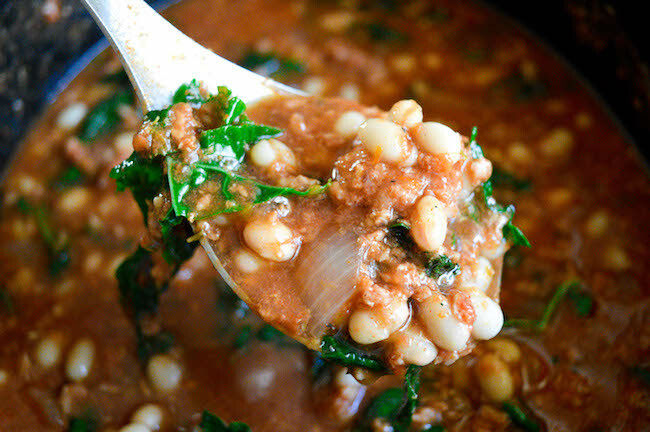 In the final 20-30 minutes of cooking time, add in kale, beans and balsamic vinegar.